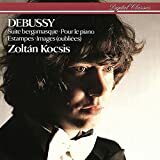 OK...If you are a lover of impressionist/romantic era music that ill-defines Debussy contribution, you owe it to yourself to get this album of Zoltan Kocsis playing Debussy. It is masterful, especially Images 1 and II. 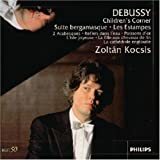 Although there were several places in the album that I disagree with Zoltan's interpretation of the piece -- one part in L'Isle Joyeuse comes to mind that he slows down like way too much -- it is, by far, my FAVORITE Debussy album and the ONLY one I've purchased 3 times. I study Zoltan's renditions repeatedly and, at times, play to them. I never tire of hearing them. 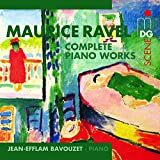 This CD has inspired me to take on and attempt to master some of Debussy's most challenging masterpieces for solo piano. Guess that's why I am on my third CD. A beautiful recording. The artistry is superb! 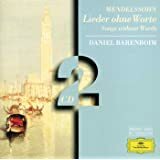 This disc, well recorded in 1988, focusses on the two sets of Images from 1904/5 and 1907 followed by a selection of single short pieces. The contents of the disc is explained in some detail by Kocsis himself in the sleeve notes which are unusually informative. 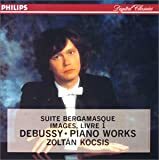 Kocsis regularly writes his own sleeve notes and this disc makes the natural companion to his other Debussy recital which includes the Suite Bergamasque, Estampes and the earlier Images (oubliees). The current disc starts with the two sets of Images, the second being more focussed on atmosphere. The two Arabesques are included and are an early indication of Debussy's future style of writing. D'un cahier d'esquisses from 1903 is significant as this was the first time Debussy made use of three staves instead of the usual two. 'L'isle joyeuse' has the distinction of being Debussy's longest individual piano composition and is also the most frequently performed according to Kocsis. 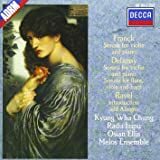 Kocsis points out the almost orchestral extension in some of the piano textures and, in this recital, the chosen examples are Hommage a Rameau, Mouvement, Poissons d'or and Hommage a Joseph Haydn. The remaining three pieces are the early Reverie and the late Page d'album and Berceuse heroique. 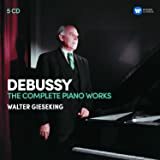 This is a compelling disc of superb playing and I would suggest that it would be well worth adding to any collection of Debussy piano music even if it entails a degree of duplication. 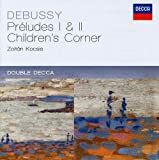 Kocsis's four Debussy discs, all on the Philips label (the others are the single-disc Debussy: Images; 2 Arabesques; L'isle joyeuse; Reverie and the two-disc recording of the Preludes and Children's Corner Suite), are the definitive Debussy, perfect in every way. 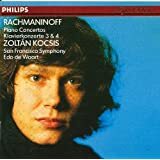 Kocsis's interpretations are unerringly right, exquisitely performed, and beautifully recorded. 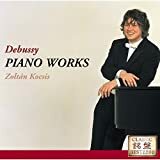 Kocsis's artistry is to make the fact that you're listening to a performance recede from consciousness, as if Debussy's musical genius were being transferred directly from his mind to yours. It's a rare thing indeed when there is literally nothing, no single moment, no phrase, no press of the key that you would alter if given a chance. These discs are among the most cherished in my entire collection. Hopefully they will bring you the same endless listening JOY they have me.